Just over a month from now, Michigan voters will see a sweeping change in their state government, and all of that progress is on the line. So what will Governor-elect Gretchen Whitmer and the state’s next AG and Secretary of State, Dana Nessel and Jocelyn Benson, do once they take office? Focusing on petty recrimination instead of progress would also risk their ability to get anything at all done. Governor Snyder, further to his credit, chose to forgo partisan punishment despite the fact that his political party held both the state House and state Senate. Governor-elect Whitmer will helm a split government, with Republicans maintaining majority control of both chambers. 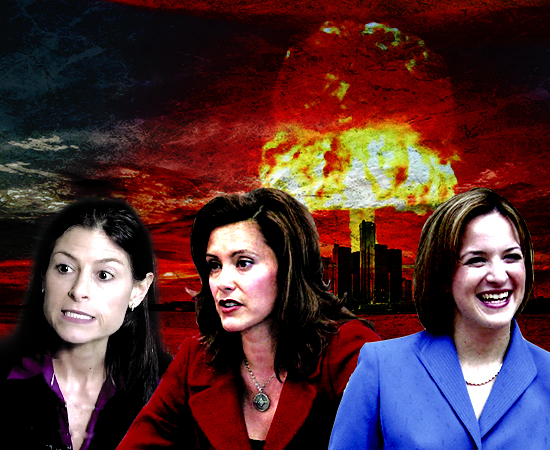 In other words, by running to the radical left and throwing bombs at the center-right, Whitmer, Nessel, and Benson will simultaneously enflame an opposition party in position to effectively check many of their more extreme impulses, while simultaneously imperiling their ability to get anything substantial done on behalf of Michigan families. High risk. No reward. Worker freedom or revenge for labor allies. Desperately needed FOIA reforms or an assault on the peoples’ first amendment rights. Bipartisan criminal justice reform or a weaponized AG’s office set loose against every day Michiganders. Results or revenge? Only time will tell.